In 1992 Mr. Schulte, along with several partners, founded the Wharton Business Group in Malvern, PA. This company was designed to take advantage of a change in the industry’s distribution paradigm and to become a leading firm in the high net worth advisory business. Mr. Schulte also founded/managed its Miami office. In 1997, Mr. Schulte joined Prudential Securities where he served on the Estate Planning Advisory Board and worked to build their high net worth planning services. Prudential Securities new revenue reached to over $50,000,000 during his two and a half year period with the company. Mr. Schulte was a founding member of eMoney Advisor, Inc. in May of 2000. This company created a revolutionary, cloud-based financial planning and management software application. This platform has proven to be a change agent within the financial services field. Many household name financial service companies use the program. It is a leader in the financial software field. The company was acquired by Commerce Bank in 2006 for $30,000,000 and sold to Fidelity Investments for $150 million in 2015. 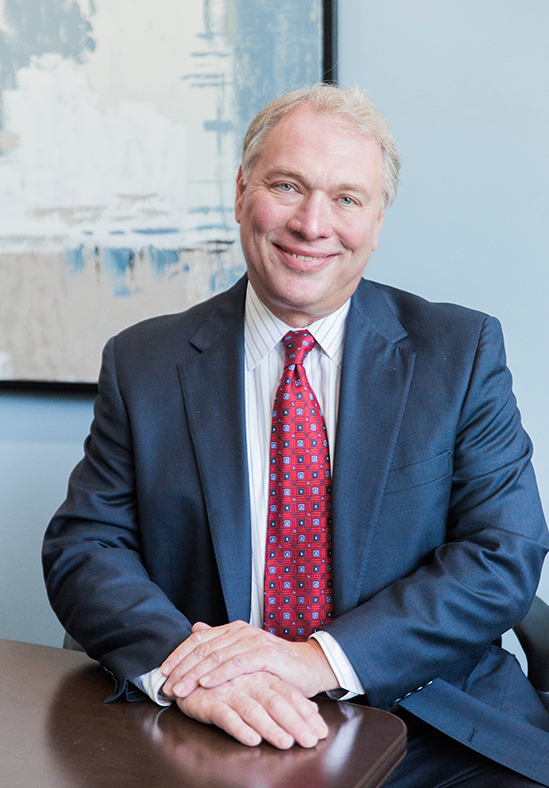 In January of 2004 Mr. Schulte was named President of CBIZ Wealth Management, a division of the #8 accounting firm CBIZ a publically listed company. He joined to help them start and build their high net worth initiative. Mr. Schulte grew a client base to over $100,000,000 of personal assets under management in 6 years from a startup division at CBIZ. Prior to creating First Capital, Mr. Schulte was a partner at Cantor Fitzgerald and worked to initiate a high net worth advisory business as a complementary division to their core institutional financial services business. Mr. Schulte holds a BA in Economics from the University of Pennsylvania with concentrated studies in Marketing at the Wharton School of Business. Jeff also completed studies at the American College to earn the Professional designation, Chartered Financial Consultant (ChFC). Jeff has been married for over 30 years to Kathryn and they have two children, JR and Kirsten. After 30 years of living in Kathryn’s hometown of Philadelphia, they now call Marco Island, FL home where Jeff spent his childhood fishing and boating. The empty nesters enjoy the flexibility to split their time between historic Philadelphia and the sunsets on Marco island!